The children were joined by members of the Wellspring Academy Trust, G F Tomlinson and school teachers and staff to commemorate the milestone. A photograph of the signed plasterboard is set to be displayed in the academy once works complete and the plasterboard is covered up. 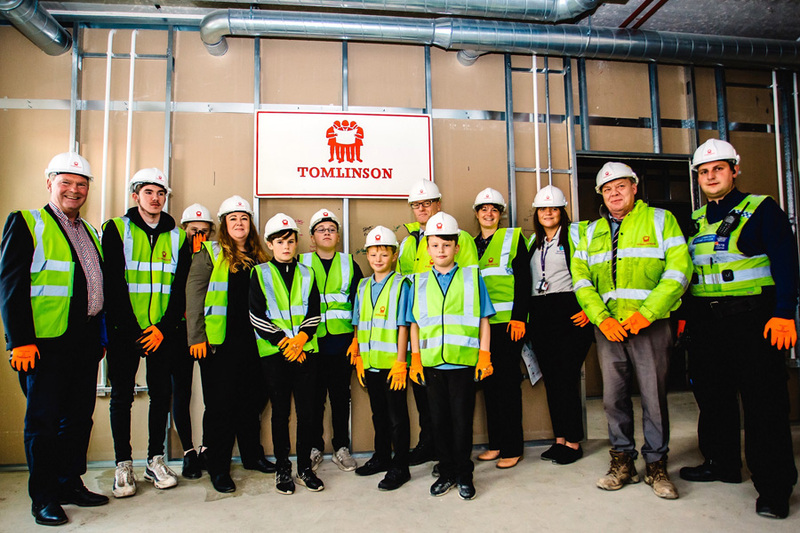 Chris Flint, director at G F Tomlinson, said: “We have made excellent progress on this project since starting in the summer and it is the perfect time to host this event. Bringing together some of the children who will move across to the new academy in Mablethorpe next year is wonderful. Lisa Ashcroft-Day, executive principal designate at Springwell Lincoln City Academy, said: “We are really excited to see the development of our new building in Mablethorpe, having worked closely with G F Tomlinson to create a purpose-built school to meet the needs of children in the locality area.